The evaluation (April 2015 – March 2016) aimed to assess the impact of the British Council’s flagship citizenship initiative – the Active Citizens Programme (ACP) – on the Mobaderoon Network, a group of civil society activists based in Syria. 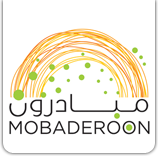 At the same time, the project aimed to improve Mobaderoon’s capacity in providing quantitative and qualitative evidence of impact to donors and partners, outline needs and gaps for future assistance and develop the M&E function through clear specifications, recommendations and training plans. INTRAC applied a mixed methods approach for the evaluation, drawing on both qualitative and quantitative methods. Capacity building elements for Mobaderoon staff were integrated so they could subsequently carry out participatory in-country assessments of the Social Action Projects (SAPs) and lead Focus Group Discussions. The research tools also included an online membership survey (accessible by smart phone) and semi-structured interviews. INTRAC’s face to face inputs were conducted in the Lebanon. M&E focused inputs included the development of a theory of change, introduction of a story-based approach to evaluations, training in participatory evaluation approaches, the development of a new M&E framework and the further development of the network’s SAP procedures. Deliverables included a main Research report, a report focusing on the M&E function, a Case Studies report and a Policy Brief for the British Council: The Challenges of Capacity building in Fragile and Conflict affected States. The dual purpose approach employed, involving skilling up network members whilst securing their input to the external evaluation, was very well received and provided a good model for evaluations where ‘at distance’ elements – for example in insecure contexts – are essential. Lessons from the evaluation were presented at the UKES 2016 Annual Evaluation Conference, Building a Culture of Evaluation: Challenging assumptions, unpacking complexity, championing change.